1250.00 sqft. 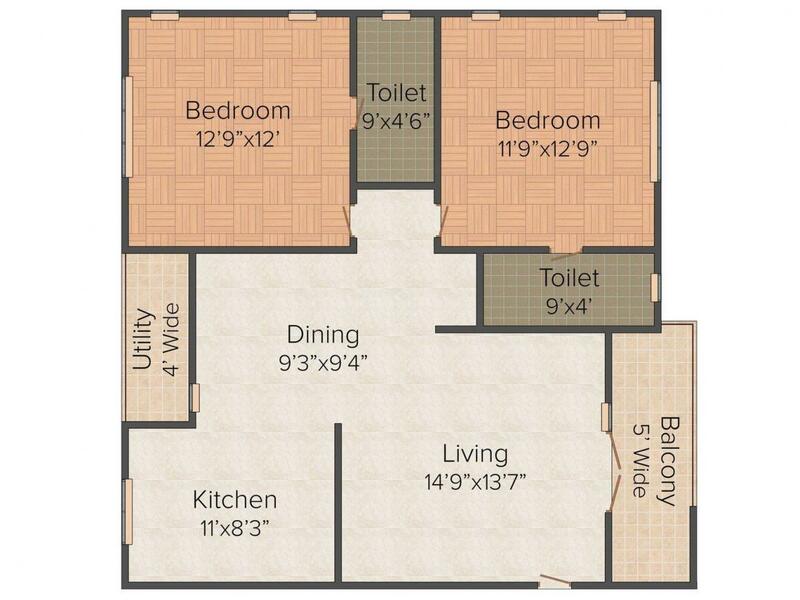 - 1297.00 sqft. Peroneria Elegance is a luxurious residential project with modern amenities that will make your living experience extremely delightful. Situated conveniently at a prime region, this project allows you to enjoy convenient lifestyle. The apartments of Elegance are specially designed with world- class features appointed to meet the needs of a modern family. The spaciousness and majesty of this residential project ensures that every apartment receive premium daylight and suitable natural ventilation. Peroneria Elegance residencies are crafted immaculately to let you enjoy a blissful life forever. Manikonda is a famous suburb in Hyderabad that is emerging as a favored residential area and a coveted commercial hub in the city. The location enjoys excellent connectivity through a strong network of roads and rail. The highways that lead to Manikonda include one from Darga via O U Colony and the other from Shaikpet via sports complex and filter beds. This locality is linked to Film Nagar via the proposed four-lane road at Shaikpet Nala. The nearest Railway Station is at HITEC City that links the area to the other parts of the state. The area is easily accessible from the Rajiv Gandhi International Airport through Outer Ring Road and Lanco Road. Manikonda, OU Colony and The Secretariat Main Road are quickly transforming into commercial hubs with several lavish Metroplexes and eateries. Presence of top-notch software company headquarters has fueled the growth of this region and has made it equally sought after amongst the home seekers as well as corporate giants. All these developments have paved the way for a phenomenal growth in infrastructure, shopping and entertainment of this posh area. 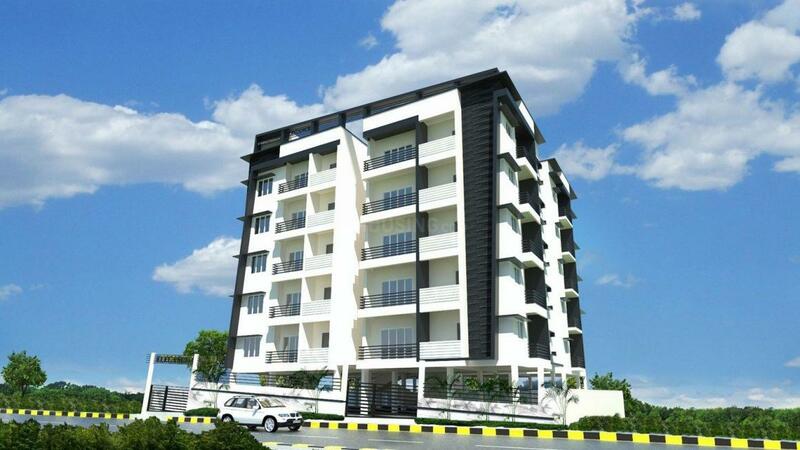 Manikonda is turning out to be a favored locale for those IT professionals who are employed in Gatchibowli and HITEC City. Various basic establishments nearby the locality add to the value of this growing locus and make it lucrative for people. 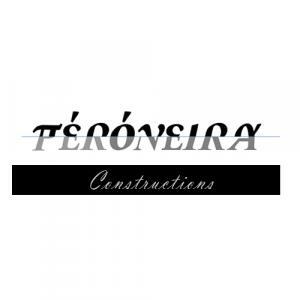 Peroneira, founded by three young and enthusiastic architects in the year 2013. The word Peroneira is the combination of two Greek words "πέρα" and "όνειρα", phonetically pronounced in English as "Pera" and "Oneira" respectively. Pera means "Beyond" and Oneira means "Dreams". With a strong vision in creating exquisite and creative designs, these architects believe in giving highest importance to designing process. They aim at creating interior homes for their customers that encompasses modern amenities. Pereoneira intend to make an elegant importance to every detail of a project blend with today's lifestyle.